NOTICE: CJ's Dog Training is looking for persons interested in working with C.J. to be a Dog Trainer Assistant. Please review the job announcement and application on our Applications page or call C.J. at 360-695-1050 for more information. C.J. has been teaching classes since 1985. She has owned several breeds and mixed breeds, including Poodles, Boxers, Australian Shepherds, Spaniels, an Irish Wolfhound and a Border Collie. 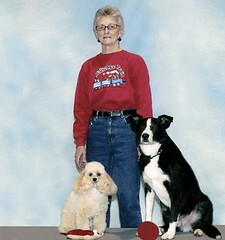 All of her dogs have been great companions. They all know several tricks and participate in events at the local humane society. Although C. J. has trained her dogs to participate in many dog sports, including obedience trials, agility, Rally-O, and lure coursing, and they have won many titles and ribbons including High in Trial, she thinks it is more important for them to have good manners at home and out in public. Her classes focus on helping dogs learn appropriate behavior in everyday life with humans. Since C. J. started teaching classes over 20 years ago, she has had a vast amount of experience working with endless different breeds and mixed breeds. C. J. found that in her personal experience what techniques worked with her poodles did not work with her Irish Wolfhound or with her Border Collie. Since every dog is unique, her focus is on helping each student find the best way to successfully work with their individual dog, whether it is a puppy, an adolescent or an adult. C.J. is a Certified Pet Dog Trainer (CPDT) and a CGC Evaluator. She has taught classes for the local chapter of Canine Companions for Independence (CCI). C.J. is a member of the National Association of Dog Obedience Instructors (NADOI) and The Association of Pet Dog Trainers (APDT). She is past President of the Northwest Poodle Obedience Club (NWPOC). NADOI was founded in 1965 when a small group of instructors gathered together and resolved to promote modern, humane training methods and at the same time elevate the standards of the profession. 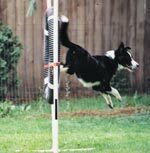 To accomplish these goals, it was decided that members of the organization should be designated as having attained certain skills and knowledge of dog training and obedience instructing. NADOI is the oldest group of its kind in the world. NADOI requires applicants to demonstrate proficiency in their craft, as tested and measured by their peers, before membership is granted. NADOI members are found all across the USA and in many foreign countries. 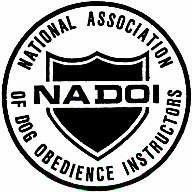 NADOI’s mission remains the same as was originally conceived; To endorse dog obedience instructors of the highest caliber; to provide continuing education and learning resources for those instructors; and continue to promote humane, effective training methods and competent instructors.